As we bow before you this morning, O Holy One, we do so in thanksgiving for the week that is past, and imploring you to be with us in the week that is just beginning. Help us to face the tasks and challenges of the days ahead. And give us the blessed assurance that we shall never be called upon to face them alone or in our own strength, but shall at all times be accompanied by your presence and fortified by your grace. Remind us, too, that we are but members of a much larger body, which we think of as the body of Christ Jesus, your Son. Thank you that through all our life together and our lives apart there run the footprints of Christ, who for our sakes was made flesh, and tasted all the changes and temptations common to humanity. We thank you for the spiritual support that surrounds us— for the heavenly host above; for the saints who rest from their labors; for the patriarchs, prophets, apostles and martyrs; for our friends and family members whose names and faces are vivid in our thoughts and memories as we begin a new period in our church’s history. For all these and more we bless your Name, O God. We rejoice that you have called us to this time and to this place. We thank you for your church and our place in it. May the mind that was in Christ Jesus also be in us, and share hearts of humble service wherever we go this week and may we think loving thoughts that cheer us in loneliness, protect us in danger, strengthen us against the temptations of selfishness, and encourage us to join together to do justice and make peace. O Lord Jesus Christ: You told your disciples that they were as lights shining in a benighted world. 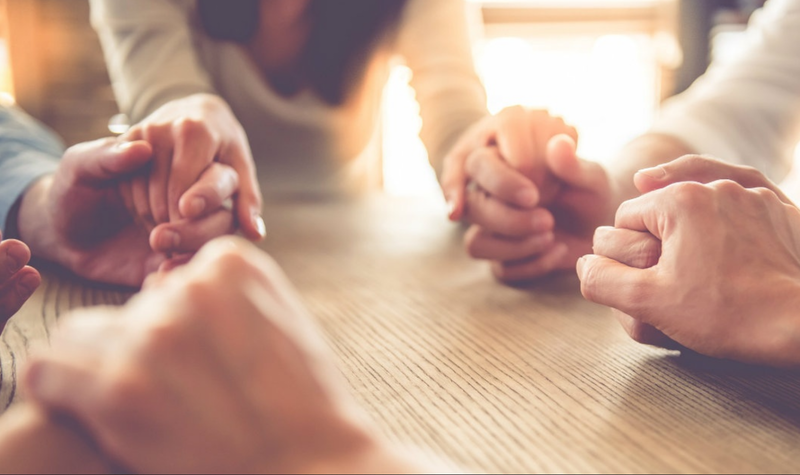 We would be remiss if we failed to pause and acknowledge before you our shortcomings— sometimes unintentional, but often not— and pray that we may better represent your church to those around us. Forgive the feebleness of our witness, the smallness of our charity, and our fear in the face of the powers of this world. Make us worthy followers who imitate you in caring for the poor, the oppressed, and the stranger; and in offering healing to the sick and help to those in need. May the power of the Holy Spirit be in us all, that with your church throughout the earth, we may share in the world’s sufferings and redress its wrongs. In the Name of the Triune God we pray. Amen.